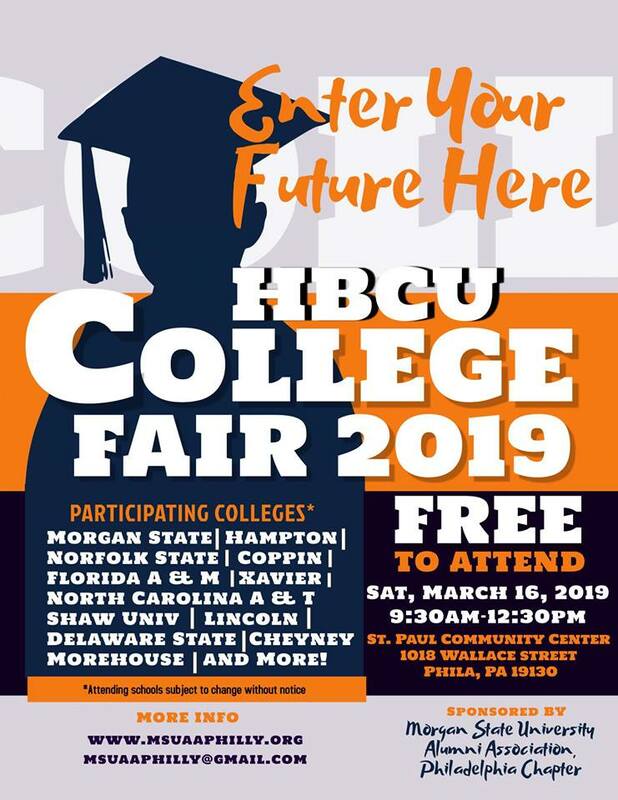 Please let us know if you interested in participating in the upcoming March 16th college fair. We need a couple of alumni to share their experiences about FAMU. 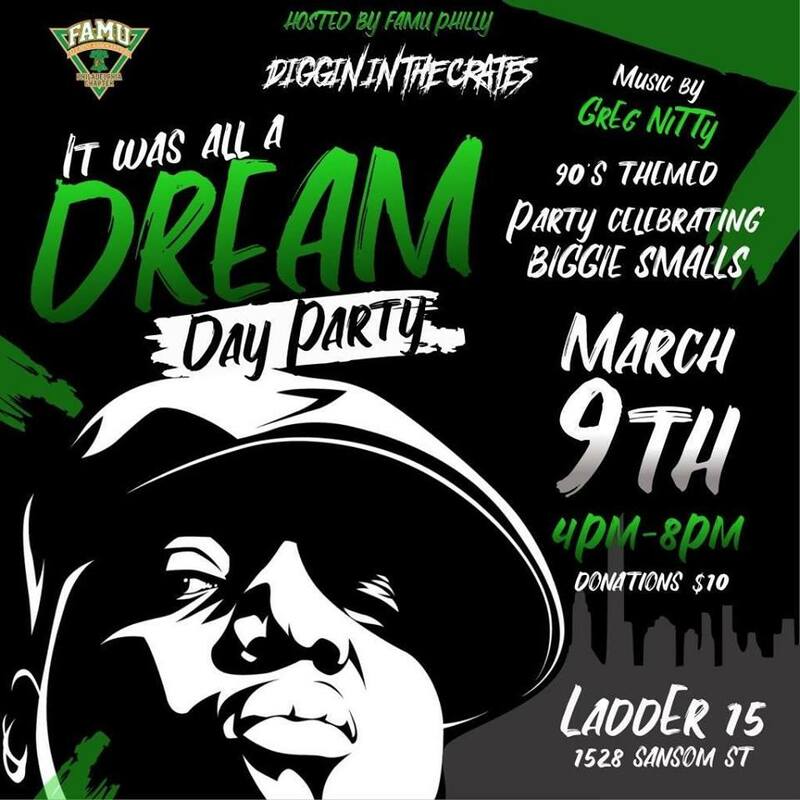 Philadelphia Chapter of the Florida A&M University National Alumni Association Presents: Diggin In The Crates: It was all a Dream Day Party Please join us for our first Fundraiser of 2019, The Philadelphia Chapter of the FAMU NAA has some. 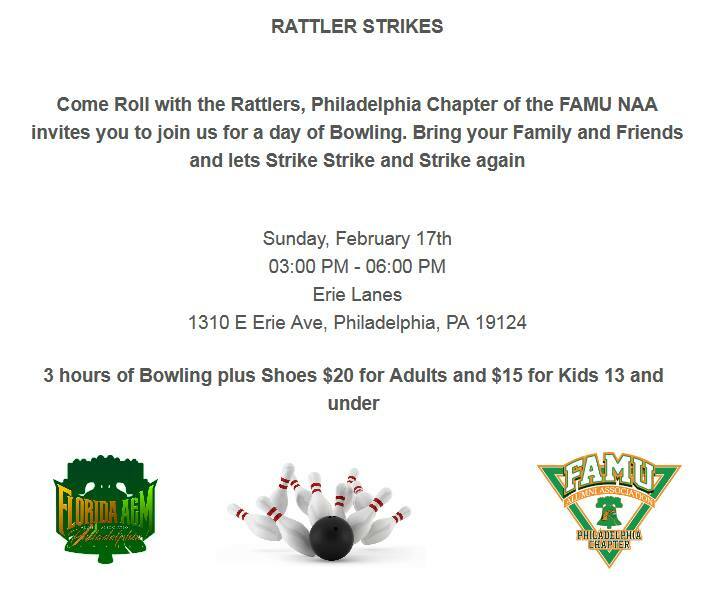 The Philadelphia Chapter of the Florida A&M University National Alumni Association Presents Rattler Strikes: A Bowling Social $20 for Adults , $15 for kids 13 and under Come out and enjoy 3 hours of Bowling with the Philadelphia area Rattler. 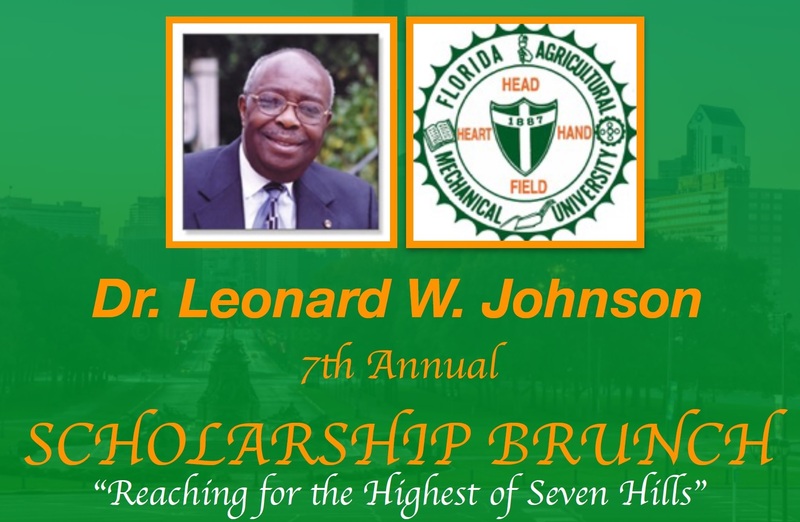 The Philadelphia Chapter of Florida A&M University National Alumni Association will be hosting the 7th Annual Dr. Leonard W. Johnson Scholarship Brunch on June 8, 2019 at the Philadelphia College of Osteopathic Medicine. The proceeds go to providing scholarships to.